the most exceptional place in the Höllental! It is a region for the soul, this Black Forest: dark woodlands, romantic gorges, mercurial streams, lush meadows. Traditional pompom hats (Bollenhüte), cuckoo clocks, Black Forest gateau - these are the clichés of this sublime and beautiful spot on the world. To condense this myth, to capture its quite exceptional charm, to help people experience it - that's not such an easy task. That's why we've created a world all its own in the heart of the Upper Black Forest. The Hofgut Sternen - this is sheer Black Forest and YOUR Hofgut hotel! Enjoy it with culinary or cultural experiences, or simply as the essence of the Black Forest. 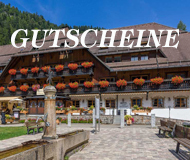 It's not only the 4 star rated Hofgut hotel at the foot of the wild and romantic Ravenna Gorge where history and tradition blend with the images of the modern Black Forest. It's the GlasManufaktur with the two glass artists creating glass objects in a traditional way and the modern hotel rooms on the first floor, it's the KuckucksNest where you will learn how the cuckoo ultimately arrives in the clock, the SteigenHaus with its manfactured objects made in Germany and the EnergieWerk, our own power station. The emblem of the Hofgut Sternen is a star. And not just these days! For hundreds of years, it has shown people the way to a house where light is burning, where it's warm and where travellers from all four points of the compass are welcome. 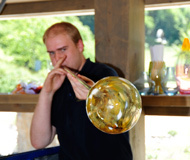 Hofgut Sternen - The Black Forest Village is classified as a sustainable destination. In 2016, we opened the EnergieWerk Hofgut Sternen on the premises where we produce our own energy and electricity with local and renewable sources. We workd and live in a sustainable manner to protect the Black Forest Highlands.